Bloomberg sources have alleged that Google and Mastercard have signed a deal in which the former gets access to the latter's users' data. This partnership has apparently been in effect throughout 2018, and lets advertisers track spending in order to analyze the success of their online campaigns. Are you a techie who knows how to write? Then join our Team! 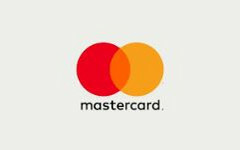 Mastercard is making the data of its cardholders available to Google, according to a Bloomberg report. This new partnership has been in effect "for the past year", according to the news outlet. Apparently, it allows advertisers who use Google to access the data that pertains to Mastercard holders in the U.S. The advertiser in question can then link their ads to actual sales in physical stores. The most worrying thing about this story is that the consumers in question were not told about this sale of their data. This deal may have been done in order to give Google an edge in the analysis of physical sales, and to gain a unique advantage over online sales giants such as Amazon. Bloomberg cites four sources, three of whom were described as having worked on the deal. It was apparently worth well over a million US dollars. However, the real issue is the lack of transparency available to individuals as to what was being done with their data. A Google spokesperson has asserted that the tool developed to use this data (which may affect billions of cardholders worldwide) is "double-blind" in terms of personal data (but made no mention of card data). This representative also directed attention to the search behemoth's ad-tracking control features in the Activity Controls page found on the Google Accounts site. However, some users may remain concerned after seeing that their data could be sold in this manner without their knowledge.